Why are we called 'Peter Oliver'? Peter Oliver Badman with his son Owen, who now runs Peter Oliver estate agency, with Nick Gulliver, in Uckfield. Many think the estate agents are franchisees of a national operation because of their slick branding and the way they quickly made an impact in Uckfield but that couldn’t be further from the truth. Owen Badman and Nick Gulliver are proud to have set up an independent business and are proud of their company name – especially Owen because Peter and Oliver were the first and middle names of his father. 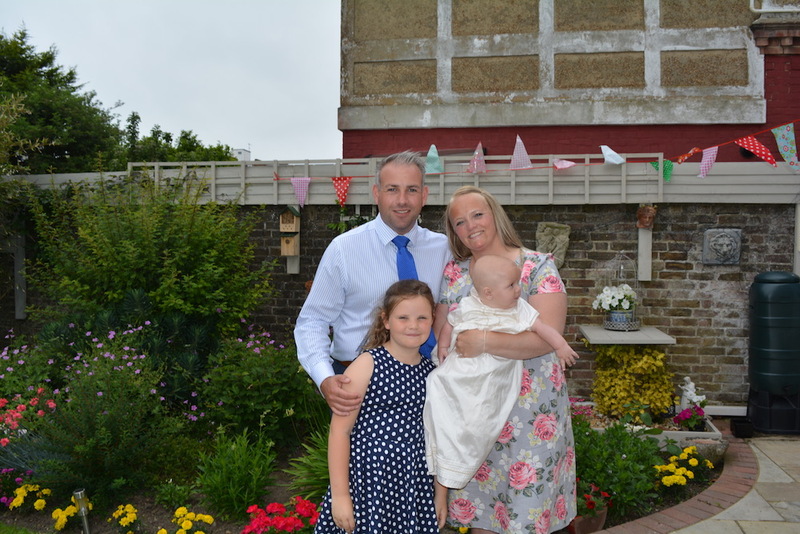 Owen Badman with his own family, partner Caroline, and children Lily and Oliver. Peter Oliver Badman, who was 61 when Owen was born, died three years ago on December 29, 2014, aged 92, nearly a year after the death of his wife Diana, aged 68. Peter was a businessman to the end. 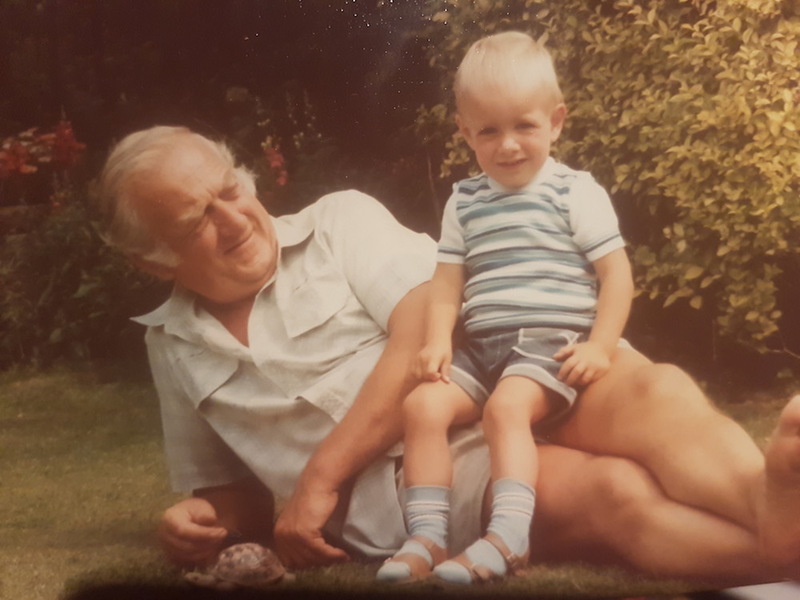 He ran several businesses with the best-known two being a haulage firm ‘Andy Vans’ and ‘Add a Van’, a hire firm which is still trading today. During World War 2 Peter served as a mechanic in the RAF and was based in the Azores and Kirkcaldy in Scotland. Owen says he would have liked his father to see the business now being run under his name. How quickly is this year going!?! Already it's November and although the temperature has certainly dropped the local property market is still warm and active! We are just shy of being 3 months old and are so grateful for the support from the Uckfield community we have had, and are continuing to receive. Our journey has started at a much faster pace than we expected but we’re certainly not complaining about being busy! Hopefully you will have seen quite a number of our boards dotted around the area and we’re pleased that we have been able to agree as many sales as we have so far. We have many more client’s houses on the market that we are doing all we can to promote and so we are expecting to remain busy right through the Christmas period. We want to give something back to the people who’ve helped us grow so quickly, especially our ‘likers’ and followers on Facebook so, in the run up to Christmas we have some Prizes to give away that are very much worth winning and we’re starting in a big way by offering the chance to win a visit to the 5 star Alexander House Hotel & Utopia Spa! To enter our FREE COMPETITION, head over to our Facebook page for details on how to enter and be in with a chance to win, that’s if you fancy a Spa Break for 2 including Bed & Breakfast & Afternoon Tea? This competition closes on 4th December 2017 and terms and conditions are below. · Entries after competition closes will obviously not be in the ‘draw’. · If prize is not collect within 14 days from competition close i.e. 18th December 2017 we reserve right to re draw a different winner. 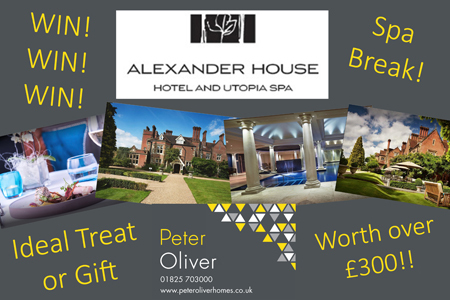 · We have no control over Alexander House Hotel & Utopia Spa – We will simply provide winner with the voucher and they will have to book direct their stay direct with the Hotel. Owen Badman and Nick Gulliver are pleased to open the doors to Uckfield's newest Independent Estate Agent Peter Oliver Homes. Owen and Nick bring a combined 30 years of agency experience to Uckfield. Nick says: "We will be offering a personal and friendly service tailored to the person selling their home and committed to achieving the best price for them." He added: "We have occasions where a client would like a quick sale and we are well placed to react in those circumstances, but there will be other scenarios where achieving a good price is more important to clients and we won't be pushing people into accepting the first offer that is made." Owen expressed that with such a high demand for housing in today's market Peter Oliver Homes can offer an effective way of reaching buyers through their modern marketing methods such as social media advertising and Open Houses." You can view a full list of the current properties listed with Peter Oliver Homes here. Peter Oliver Homes also market their properties on Zoopla, PrimeLocation.com and RightMove.